Jamie Stewart is chasing his passion for skateboards on the west coast! Hi Jamie, how are you today? Can you tell me a little about yourself and Pacific Stoke Boards? I'm doing great! Feels good getting to do what you’re passionate about every day. Well, I'm originally from Cambridge, Ontario and moved out to Vancouver 4 years ago. As of August 2017 I had gone through a bit of a freeing experience and decided to chase my passions over what I had been educated in through university. That was kind of how Pacific Stoke Boards came to be. It's been a challenging process with a lot of ups and downs, but things are really starting to take shape and take form now. Very exciting! What got you into building longboards? How long have you been building? 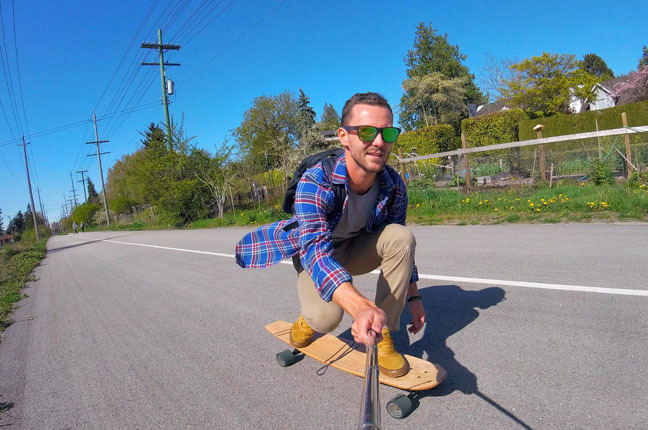 Building longboards was something that came about after I decided that the current career path in the environmental consulting field I was on did not fit my lifestyle anymore. It was time for a major life change and after trying a few things I recognized my passion for creating and working with my hands. I got a couple sets of Roarockit start up kits and my mind just started rolling through the possibilities for what I could create out here in Vancouver, BC. I've been building boards for a little over 8 months now and have big plans to grow the business. How does the West Coast landscape influence the design of your boards? What inspires you? The entirety of the West Coast landscape influences the design and artwork that goes into my boards. I'm a surfer first and love the west coast surfing vibes out here. 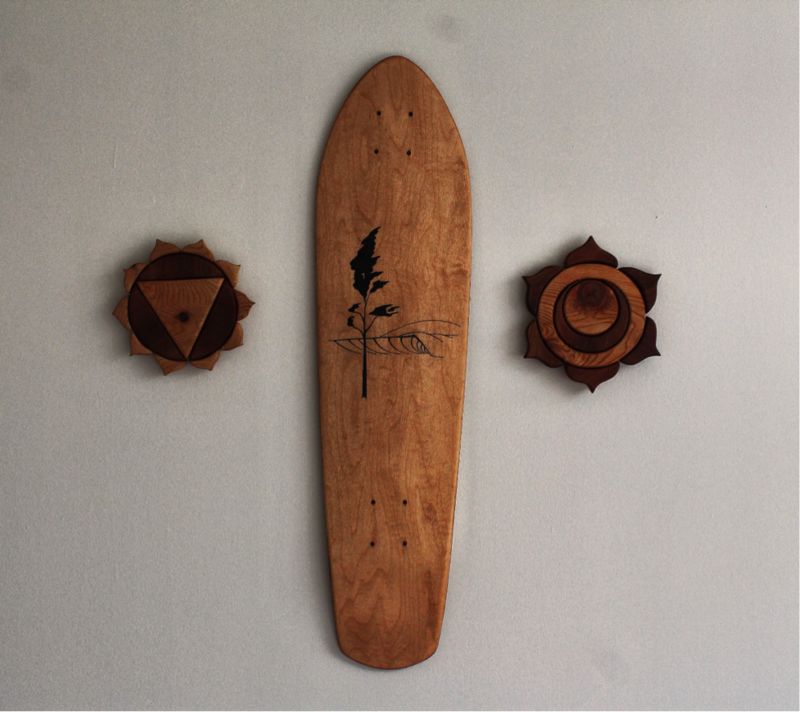 I've tried to bring surfboard shapes and style to the skateboards I design and make. I spend most of my time being active and in the outdoors. Whether it's climbing and scrambling to a new mountain peak, going on multi-day hiking trips, surfing or just relaxing on the beautiful beaches we have here - I'm outside. The combination of Pacific Northwest, laid-back vibes and the stunning landscapes we have here made it an easy choice to put John Coleman’s (a local artist from Vancouver Island) work on to these boards. His passion for surfing and the natural landscape here in BC is as strong as mine and his artwork is incredible. You can check out his work on Instagram at @colemanjohn. Do you skate? How long have you been skating? I've been skating for many many years. If I can't be surfing, I'll be cruising around on a longboard having fun carving through the streets and gettin' some toes on the nose! Do you use Roarockit products in the making of your boards? How did you find out about us? I use strictly Roarockit products! You guys have been incredibly helpful through out the whole process and I will continue to work with you guys. Honestly, I think I just stumbled upon you guys on Instagram. Took a look into it and thought this could be it! If people wanted to find out more about your boards. Where can they see your creations and contact you? The best place right now is to check out my Instagram page @pacificstokeboards or my personal account @stewbrewbc. Both can be used to contact me. Website is in the making! Thanks again for your time Jamie, any last words for the readers back home? Thanks Taryn and Roarockit, you guys have been awesome! Just want to say that if you're not happy with what you're doing I can guarantee you it's worth taking a risk and following your bliss. You never know what you'll end up with, but taking the chance never means regretting that you didn't later on. If you're passionate about something, put in the hard work to create something of your own and no matter how things go or how tough things seem you will create your own success - have confidence in your abilities and passions!